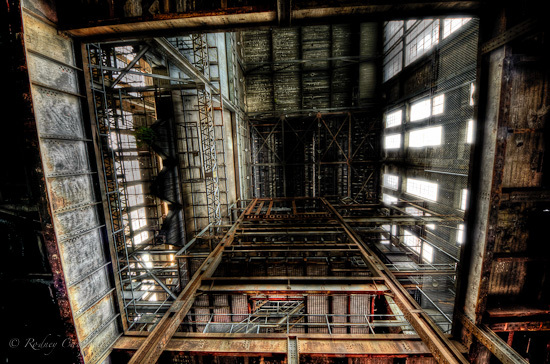 Over the weekend White Bay Power Station had some open days including one day set aside for photographers (tripods allowed). 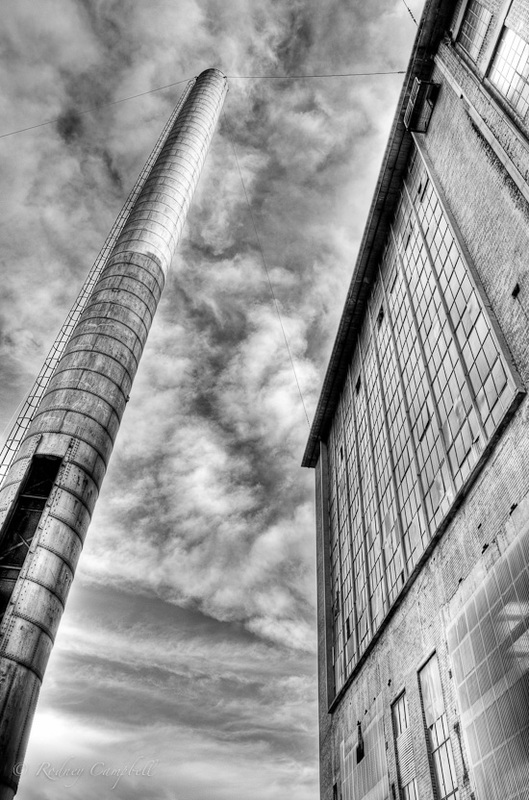 White Bay Power Station at Rozelle, in Sydney’s inner west is a heritage listed former coal-fired power station and was the longest serving of the city’s five metropolitan power stations. Construction began in 1913, and went through a number of expansions before the station was de-commissioned in 1983. My daughter and some friends and I braved the crowds of other photographers late in the day and we spent about an hour exploring some of the site and taking some images. 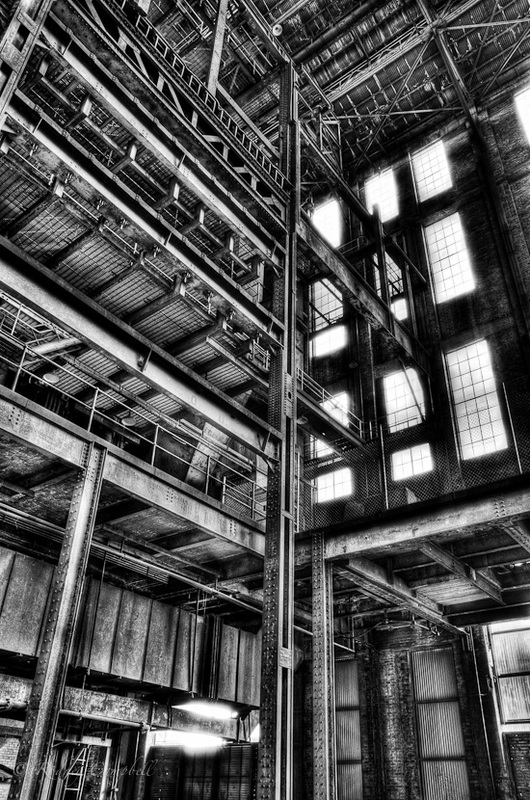 I knew before going that the dark interior and gritty machinery and building structure would lend itself perfectly to some HDR treatment so I planned to bracket many of my shots with that in mind. Even late in the day (3 to 4PM) the softer sunlight streaming in the very high windows created bright highlights up in the vaulted ceiling but didn’t do anything to pierce the darkness at ground level – life was very interesting when shooting with the ultra wide as the dynamic range from absolute white above to absolute darkness below was “challenging”. 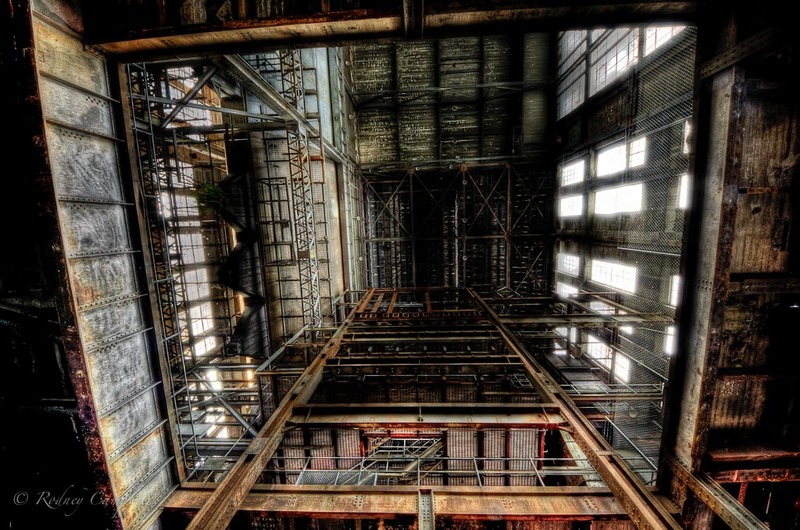 Where the machinery was in the Boiler House was in near total darkness – the “normal” shot even with my 8mm ultrawide at f/5.6 was 4 seconds or more. We spent all of our limited time inside and just outside the Boiler House (we didn’t arrive early enough to get in a long queue for the Turbine Hall). 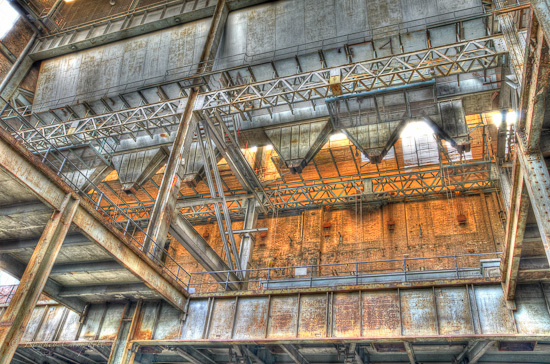 All of the following images start life as a High Dynamic Range (HDR) image created from at least three bracketed images shot at -2, 0 and +2EV (Grey and Gold also included a fourth image at -4EV). Hi i think your photographs are amazing! I am a design student and i am looking at redesigning a section of White Bay Power Station do you have anymore photos of White Bay i could look at to gain further inspiration from?